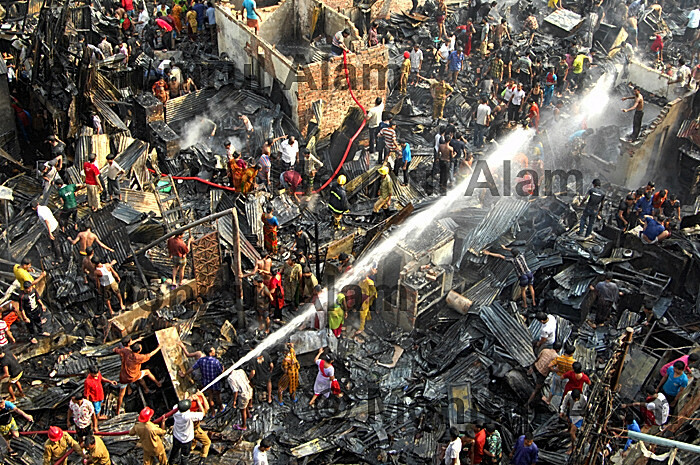 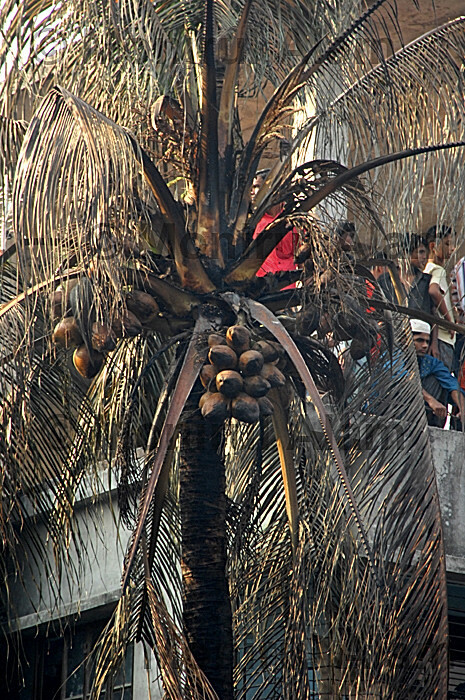 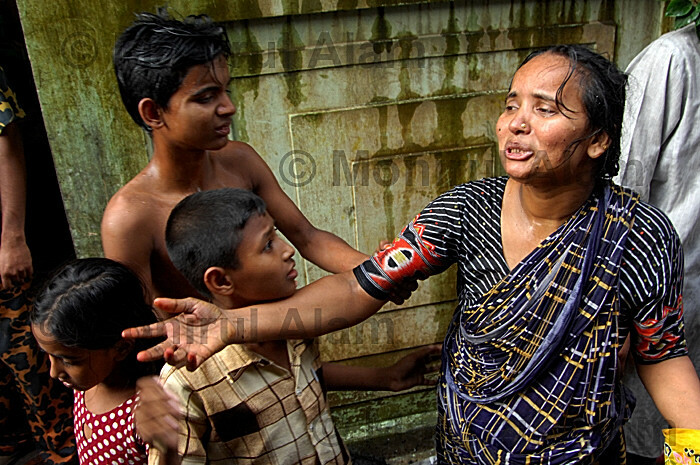 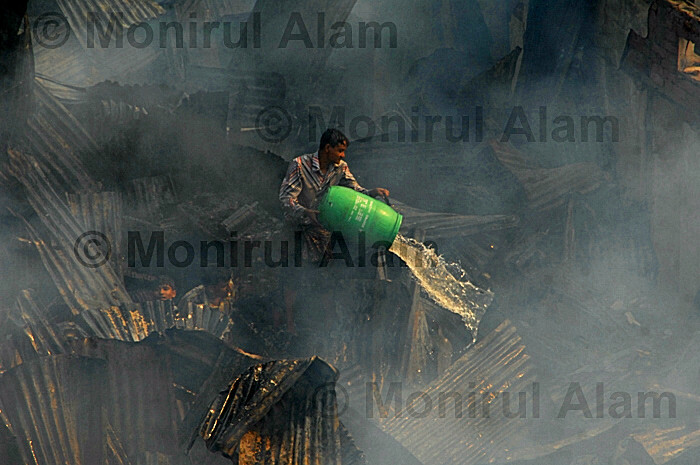 The fires were incidents of Ganaktuli Hajarebag in the city of old Dhaka. 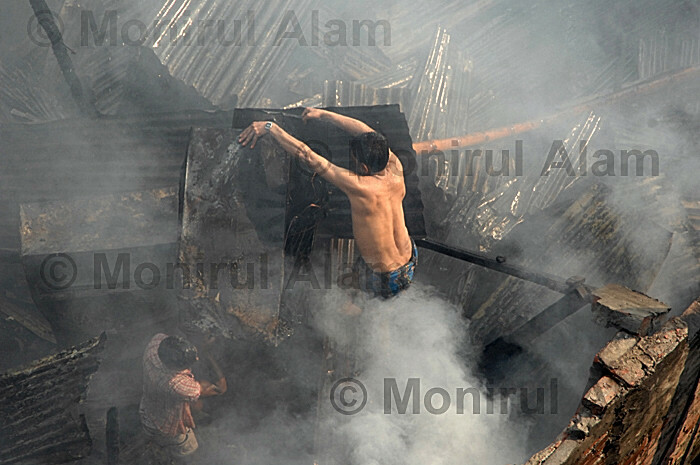 I rushed on the spot around half an hour and see local people, fighter fighters, Bangladesh Rifles member already struggled to control fire. 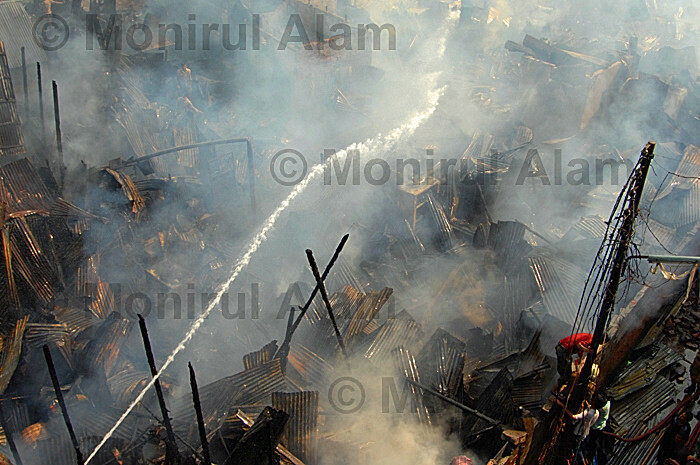 I took some of pictures after that I take place on the five floor building for taking more picture and see what actually is happened.